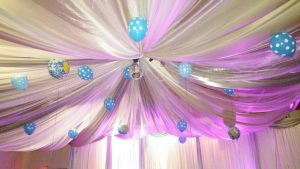 Finding a baby shower venue in Albuquerque that is gorgeous, clean, spacious, and large enough for your whole family can be a challenge. You also want your baby shower venue to be conveniently located while remaining flexible enough to allow you to bring your own food and decorate any way you want. And clean-up at the end? You don’t want to do that! All of this can be yours for less than $400 when you book your baby shower at ABQPartySpace. Let’s get this party started! 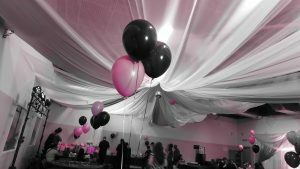 3 steps to book your party! Have the Baby Shower of Your Dreams! 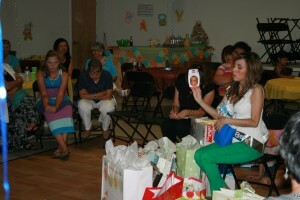 Finding the right baby shower venue in Albuquerque is easier than you think! What will make your baby shower awesome? The ideal venue where you can be surrounded by everyone who is important to you? A party hostess tending to handle any surprises? Music, games, food, and of course presents? All this with a price tag you can afford? It’s all here at ABQPartySpace. Perfect Baby Showers at Perfect Prices! #1 – We have beautiful up-lighting and can bathe the room in a soft blue or a pretty pink. This solves 75 percent of your decorating concerns! You can get everything for your shower all in one convenient party space. Your choice of two beautiful banquet rooms, both of which are fully air-conditioned. A beautifully appointed lobby area. Free Wi-Fi and a free state-of-the-art music system. A party hostess to take care of spills, find scissors, tie a kid’s shoe, mingle with relatives, and make sure that everyone knows where to find anything they need. Large handicap-accessible bathrooms with changing areas. 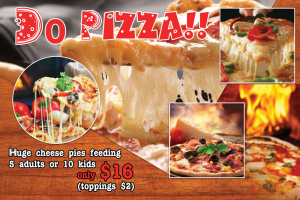 Catering for all tastes and budgets, from pizza to bagels and donuts to subs, enchiladas and more. Or, you may bring your own food and we will provide a huge buffet area with tables, chafing dishes and a fridge, freezer, and microwave. A 200-car private parking lot with mobile security. Easy access from I40 and I25. Discounts on beautiful ballroom linens, silk runners, bows, and overlays in more than 30 colors. And at the end of the party, all you have to do is take home the cake. You never have to clean up. We do it ALL. #2 – We’re Your Baby Shower Coach and Cheerleaders — You Got This. We bend over backwards to make your guests feel at home. Show you how to make a playlist on our free state of the art system. Give you advice on where to shop for cool decorations online to save money. Let you use our entire atrium in the middle of the shopping center for photos. Give you the key to our baby shower venue so you can come in early to hang your decorations just so. Help you decide on linen colors if you want them. If you can dream it up, we’ll make it happen. If we don’t have it, we’ll help you get it and we’ll save you money, too. What’s more, we’ll keep you relaxed and smiling along the way. “The staff was nothing short of amazing. They were so helpful from the moment I got there to decorate, to the moment we left. They put ice in our sodas without asking, lit the food warmers, and were overall great.” – Melissa R.
Do you have a large number of kids coming? Great! We have a huge bounce house they can play in and our service company can hire a face painter. Who’s going to help carry in that huge cooler filled with sodas? We will. Who has a desk filled with scissors, thread, first aid kits, markers, pins, and paper? We do! Who has your back if you run out of virtually ANYTHING while setting up your event? We do! #4 – We Are the Robin Hood of Albuquerque Events — We Give Back. “Affordable Events for Everyone” is our motto, and we move mountains to make it happen. 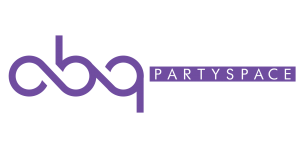 At ABQPartySpace, we take pride in much more than providing the most beautiful baby shower venue in Albuquerque. We give back to the community in a number of ways. We donate our space to help charities and to families in dire situations. We buy birthday cakes for kids in children’s homes. We throw $89 specials so that single moms who can barely make ends meet can have a party for their kids during the week. We give discounts to APD, AFD, military personnel, and vets. We collect bags of clothing for hurricane victims and give discounts to people who use our space for good things for the community. Are you ready to learn more about hosting your upcoming party at our Albuquerque baby shower venue? Contact us for a tour and a price quote today. Prices to rent either of our beautifully appointed banquet rooms range from $329 to $449 on Saturday and Sunday afternoons and Sunday evenings. Ask about our weeknight specials. All baby showers come with 1 hour and 45 minutes of FREE decorating/setup time included. Afternoon parties may start at any time, but they must end by 4 pm. Evening parties may start at 5:30 pm or later, and end no later than 1 am. You may bring your own beer, wine, or mixed drinks. Our service company personnel will card and pour. No one without a valid ID may be served. To see our Alcohol Policy click here.